Oh my it has been a very long while since I have found the time to blog. To say I have missed it is an understatement. However I had to relearn how to learn; a journey that already has given me a great deal of satisfaction. I’ve discovered the beauty of history, healing and the wonders of our beautiful bodies. Don’t ask me about the math .. but the science behind nutrition is almost as exciting as that perfectly nourishing recipe ! Almost. If I am honest, with my starting on campus in a weeks time there may be a few quite weeks from me again… yet I wish to share an exciting new project of mine and one I intend to incorporate on this beautiful, free speaking space that is missy bluebird ! Life is a journey in finding that level of happiness where we no longer question our hurdles, moments of joy or grief .. but embrace them as a moment to grow. Every year the company I work for runs a 12 week challenge. I confess, Not being overweight and often lacking energy I have always felt I have never had the ‘right’ to take part in this. Granted I eat pretty well and have over the last few months begun to install a holistic exercise program that has me excited … and (gasp) helps me with my gut health; but I could cut back on the vino (gasp again)… and really understand the vitalistic as well as mechanistic benefits of a lifestyle dedicated wholly to wellbeing. Thus I excitedly signed up and began the challenge on the 25th January. One week ago I fractured my ribs. Not awesome and I have literally spent the last week hurting bad, struggling to breathe and hating on my body, my life and the cosmic universe for knocking me down so early in a challenge that has literally taken me 9 years to be in a place to take part in. I ALMOST gave up on the whole idea. However a moment of clarity hit me just yesterday as I began to pull myself out of a depressive, poor me, funk. With this injury I get to learn even more about my bodies ability and grow, explore and set goals that I can gauge by listening to the strengthening of my own body. Of course this means nourishment of mind and body, after all you cannot do one without the other. Now … during this moment of clarity one thing really called wrung true to me. Despite my ‘best efforts’ I was not happy … at all. Anxiety plagues me, self doubt is my best friend … and I too often live in the past or future .. quite forgetting the grateful moments of the present. Further more .. I am still not healthy. Me and my gut still battle on a regular basis with one another. Perhaps the two are linked ?? I think so .. and if you want to get chemical about it ( and we will ) so does some of the worlds leading physicians. Thus my big project is to take this 12 week challenge … to set me up for a full 12 months dedicate to finding the balance. For the next 10 weeks I shall share a mantra designed to inspire you, me and anyone else that might happen upon this space. From there we will expand and ultimately live the best year of our lives. Its never too late to star .. we do not have to wake for a Monday morning, new year or new month. The moment is now. 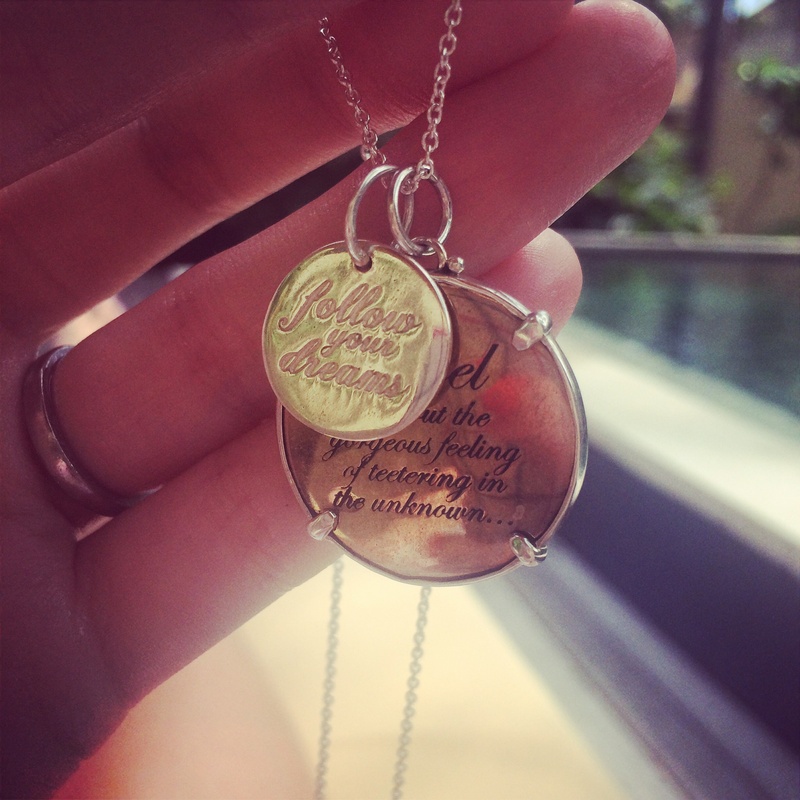 Thus this week mantra is “Proceeding with purpose … “. For now I wish to leave it at that … as I wish you to think about what that means to you. I know what it means to me. Journal it, write it on your bathroom mirror, meditate on it … do what works for you … and I will be back midweek to discuss what it means to me… and share an amazing aussie inspired recipe. Remember to check out in the my instagram feed … and proceed through each second, each minute of each day in this week with PURPOSE. Warning ! This may be a slightly drawn out post, but I hope my sharing it with you gives you some inspiration to live a stronger, happier life and be true to yourself and dreams. Lofty goals ! It has been almost 2 months since my last post … and oh boy, realising that really causes me to truly appreciate all that can happen in two months. Time is precious and whilst we hear it so frequently in various formats … we really must strive to make each day, week and month count. Be kind, interact, love and nourish your whole self. Such simple concepts, but things we so often forget when caught up in trying to make life work. The irony is, if we do these things we find that balance ! 2015 thus far has been a year of growth for me. Its been both rewarding … and down right difficult. I confess the last 2 months have been perhaps the most challenging this year. Both financial strains and very poor health have taken a forefront, leaving us no choice but to have to cancel our two week trip to Bali in October and revaluate many other plans. What is it that they say …? 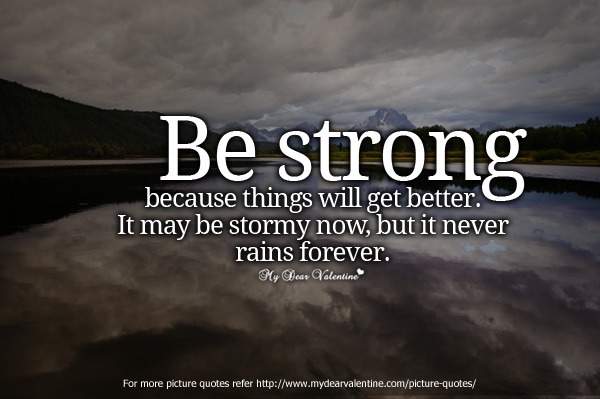 “when it rains, it pours ..”. In the last 2 months I forgot myself and down right gave up. Now this may seem superficial to some and I confess I felt embarrassed by quite how depressed and hopeless I felt, after all I have endured far worse. Then I stopped and allowed myself to admit how much hope and perseverance the idea of this holiday alone had given me, throughout the pain, worries and exhaustion of 2015. When dealing with chronic or any illness, hope and plans for more enjoyable times are even more significant. These past months I have learn’t the importance in forgiving yourself for the way you feel and allowing yourself to feel this way, so that you can come back stronger and wiser. My beautiful Gran (very catholic) often said god did not give us challenges to hurt us, but because he knew we could handle them. This from a women who went through a lot in her far too short life. Now I am not sure which higher being I believe in, or even if I do at all, but the message is still the same. The mind is an extraordinary thing and can pull us through even the hardest of times. I am grateful for the last two months. I have learn’t more about strength, weakness and the importance for asking for help. Ultimately it has given me the push to really evaluate and consider how I wish to live my life. Stressed, sick and despondent is certainly not it. I started this blog in a decision to not struggle through illness anymore and share that journey, whilst I have achieved this in some ways I have not really been able to commit for fear of failing. This latest bout of struggles has given me the courage to really head in the direction truly desire with this blog, my life and goals. Thus, exciting news ! I have begun to study a Bachelor of Health Science (Nutrition and Dietetics) at Endeavour College. Already I am loving studying my first subject online and cannot wait to really get in to it, on the Adelaide Campus next Semester. I am thrilled to finally take big steps on a journey I have been crawling along for so long. I know that juggling my health, work, home and study will present it’s own challenges, but with focus and planning I will succeed ! I am so passionate about nutrition and healing the body as a whole so that we can live with vitality. and enjoy all life has to offer Now that I have made the decision and begun it seems so silly I thought about it for so long ! So, with that – I am heading in a direction, perhaps not a entirely new one but with more determination than ever. I wish to commit to missybluebird.com being my platform for that journey once again. I cannot wait to share what I learn .. and of course offer up some delicious recipes too. Illness will never again be my focus, wellness will be. This week I am greatly grateful to the loved ones in my life. Friends, family, the other half, clients and gorgeous puppies alike have made a rather frustrating, pain filled week one full of laughter, hugs, home cooked meals and spontaneous dancing. I am so grateful for the strength you have given me. Its a long time lesson I have learnt to let down barriers and let people in. What a gift I have given myself to have learnt that lesson. For those of you out there that also struggle with this .. I encourage you to let the sunshine in. Now a little bit less ‘hippy heavy’… with spring (and sunshine !) now here my mind just keeps wondering to one thing … summer tomatoes. As a gardener and plant-based loving foodie they are literally the highlight of my year … Not to mention the health benefits. Tomatoes are full of vitamins like B6, C, K,and potassium. They even have some muscle loving magnesium too ! The phytonutrients in tomatoes have been linked to lower rates of heart disease and cancer. So definitely a perfect fruit/veg to enjoy. Sadly, these days I cannot eat tomatoes everyday … my poor tummy and joints don’t allow that much nightshade in my diet (much to my reluctant realisation). Yet of course they are my favourite. Nothing beats a home grown summer tomato … honestly my living in Italy has spoilt me for life ! Here in Australia though we are lucky .. even in the spring you can get a decent tomato … all be it a little more pricey .. and yes it pays to be picky. I always keep them on the window sill to ripen even further in the sun … and whether in my mind or not, I am sure they taste better for it. This soup though has been born from a favourite in possibly the most used cookbook I own (Green Kitchen Stories), a lot of experimentation and a very desperate me to put the taste of summer in a still hearty spring soup ! 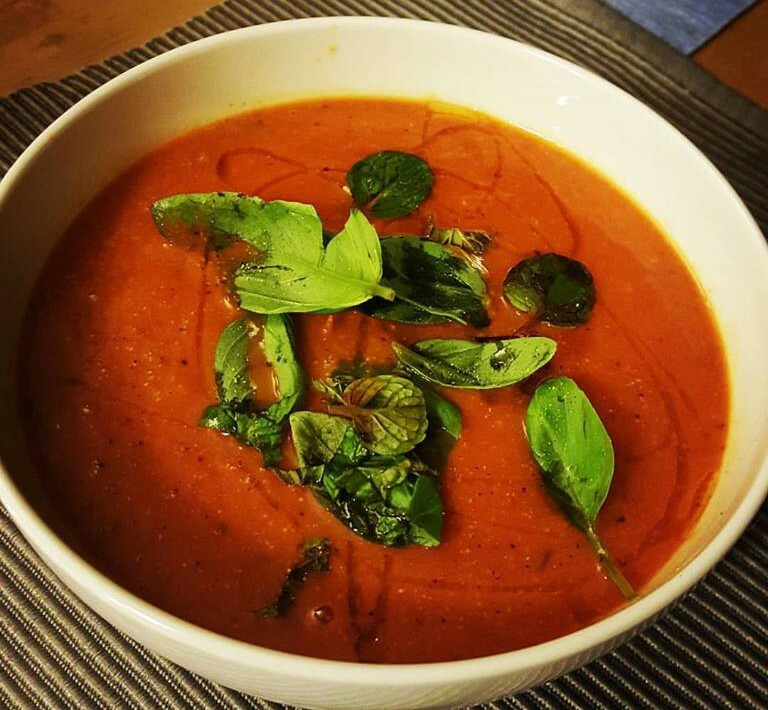 The real key this spring soup is to have those early tomatoes nice and ripe ( I go for the smaller ones and organic where possible) , paired with the best of late winters’ cauliflowers and you are still meeting your seasonal needs … !! I think this one would also work well in early autumn to use up that last load of less than pretty tomatoes and early season cauliflower. Either way it is delicious, easy and relatively budget friendly. Whilst being gluten free, dairy free and vegan and having a decent hit of protein. Who said eating well had to be boring ?! Add cauliflower, tomatoes, chickpeas, garlic, basil stalks, oregano and garlic. Season and toss well with olive oil. Pop in oven for an hour or until tomatoes and cauliflower are blistered. Add can of tomatoes, apsv and then blitz in food processor until smooth. Add in water until desired consistency. Freeze, refrigerate or gently heat with half the reserved basil. Taste and Season. Serve with reserved basil, chilli oil and sourdough smeared in a good butter or smashed avocado. Yum ! Oh gosh it is Spring here … I literally did a little dance when I woke up on the 1st of September. The nights are already lighter, the few degree temperature drop is a blessing, and things are blossoming everywhere. It is time to really get in to the garden too .. and literally nothing makes me happier or more excited ( ok except for maybe being in the kitchen .. ) ! 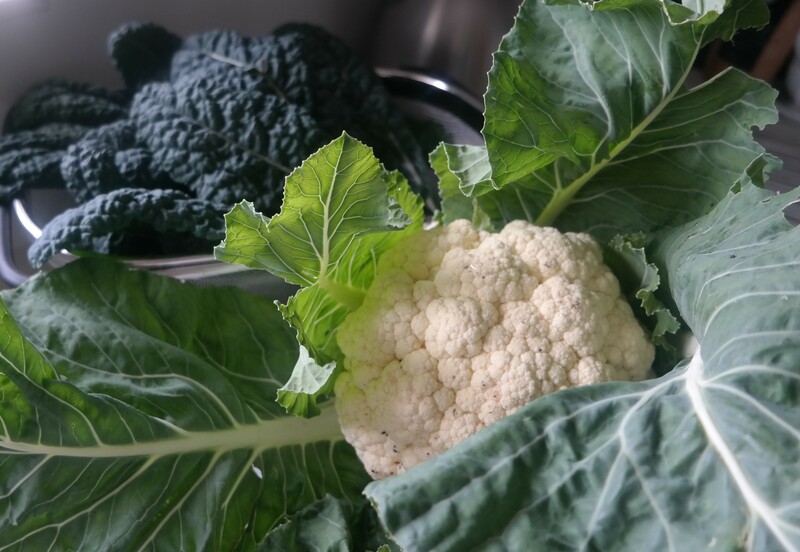 This following recipe is a result of harvesting almost the last of my winter vegetables … and quite honestly I am very proud of my amazing Kale and Cauliflower crop this year. Totally Pesticide free ( planted it with garlic and hand picked any of those hungry caterpillars ) and just beautiful looking too. Not to mention they taste amazing too ! There is nothing quite like eating your own homegrown veggies. Of Course buying from your local farmers market, wholesale store or organic place will result in an equally nutritious meal .. but I encourage you to get in to the garden this spring. There is nothing more satisfying than cooking and eating your own produce ! Why not check out the Little Veggie Patch site ? Their books and monthly newsletter have certainly have caused my love for the garden to blossom .. couldn’t help the pun ! So, back to the food ! I’ve been experimenting a lot with some fantastic homemade curries this winter. Most of them have been made from scratch, with home ground spices and hours over the stove top in the warm kitchen … perfect for winter afternoons. Whilst I am definitely not new to Indian flavours the experience from making these delicious nourishing dahl and curries has almost been as healing as the finished product. My desire to travel through India and Sri Lanka, it is safe to say, has tripled. Top that with my experimenting in Aruyvedic diets and treatments ( and getting some success in them too ) and I am an advocate for cooking in ghee and adding fresh ginger and turmeric to everything in site ! Not only is it delicious but I’ve been cold and flu free all season. 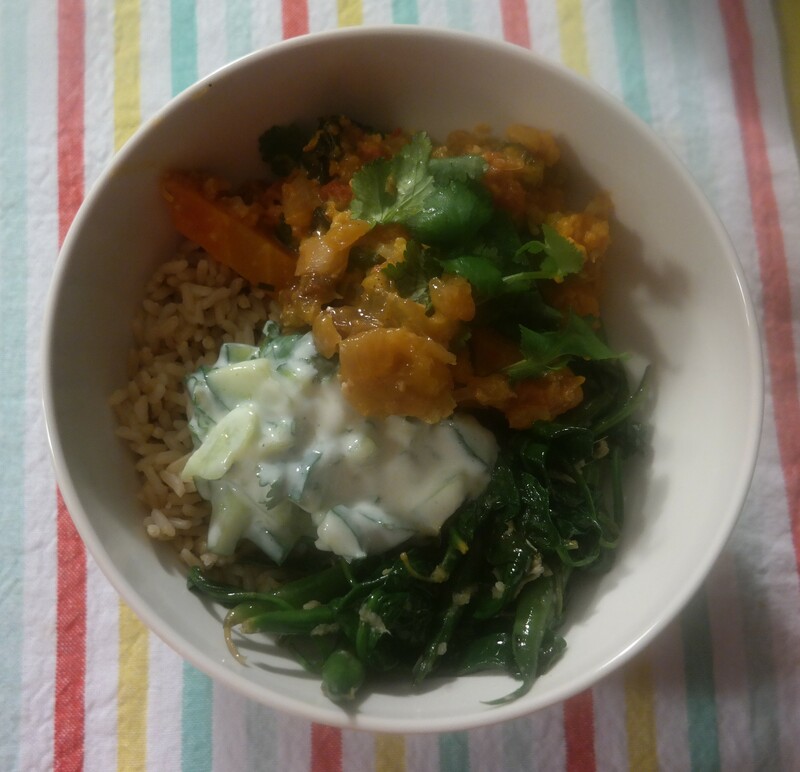 This particular curry bowl is a definite transition in to spring, a little lighter and perfect for those still chilly nights. 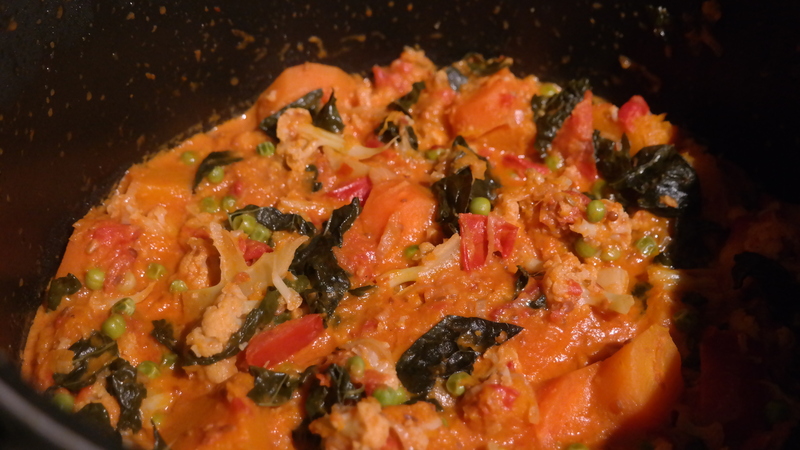 A antastic homemade vegan curry, that is not only super easy and will freeze like a dream, but is loaded with alkalising, potassium rich and digestive friendly vegetables and spices. Paired with some delicious sautéed ginger greens, brown rice and some homemade raita .. your body will thank you for it .. and so will your wallet. Thats right this is one uses super budget friendly superfoods and pantry/fridge staples !! As always with this recipe I have went homemade and organic where possible and most affordable. I recommend making the curry on a Sunday ( or your food prep day ) and enjoying with the extras through out the week. As with almost any curry it improves with time ! See notes at the bottom for extra protein variations and if you want to keep it entirely vegan. 2 Onions, halved and thinly sliced. Heat oil and ghee in a large pot and add onions and a little salt. Sauté on a medium heat until golden and translucent. Add ginger and turmeric and sauté for a further 3-5 minutes. Add curry powder and cook for 1 minute or until fragrant. don’t burn those spices ! Add all chopped pumpkin, cauliflower and carrot and give a good stir. Add in chopped and tinned tomatoes, coconut milk and vegetable stock. Cover and simmer until vegetables are tender, adding kale 20 minutes in. Add peas and cook for a further 10 minutes. Take off heat and miix in coriander leaves, reserving a few for serving. Place green beans in a bowl and fill with boiled water. Cover and leave. Add ghee to pan, once melted add garlic, ginger and lemon zest. Allow to gently cook for 1-2 minutes. Drain green beans and add to pan. Once warmed and cooked but still crisp add spinach. Stir and take off heat. Serve Curry with ginger greens, steamed brown rice, coriander leaves and homemade raita/chutneys either in a big comfortable bowl or as a fun Indian platter. For a higher protein meal add red lentils with pumpkin and carrot. To keep it entirely vegan make a vegan raita with shredded cucumber, shredded coconut, mint, lemon, a good drizzle of olive oil and salt an pepper. Personally, apart from those terribly cold mornings I don’t mind it. I see it as touch of the UK and enjoy pilling on my collection of woolly hats and scarfs. Of course the excuse to cook up some bold and spicy dinners isn’t half bad either. This amazing veggie chiili is definitely one of them. With a great kick of spices, fennel and herbs it is great for digestive health. 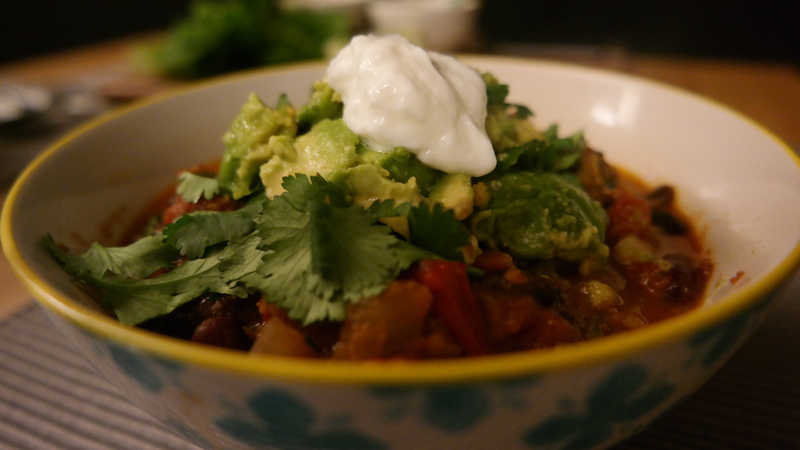 A decent dose of veggies and a great protein kick from the beans leaves you feeling both nourished and warmed … not to mention it is both budget friendly and easy to take along to any pot luck dinner. It freezes like a dream too ! Peel and roughly chop the onion, along with the fennel. Halve, deseed and roughly chop the peppers and finely chop deseeded chilli. Chop Coriander root (reserve leaves) and oregano. Heat coconut oil in large pot. Add onion, garlic, fennel and peppers. Cook for 8 minutes or until onion is translucent. Add the mixed spices, herbs, chilli and chipotle chilli. Cook for 10 minutes. Add a little water if needed. Add chopped vegetables ( bite size cubes ) and cook for 5 minutes. Add tinned tomatoes, beans (drained and rinsed) and apple cider vinegar. Season with salt and pepper, give a good stir and bring to the boil. Allow to simmer for 40 mins, add filtered water if needed. Stir every 10 mins. 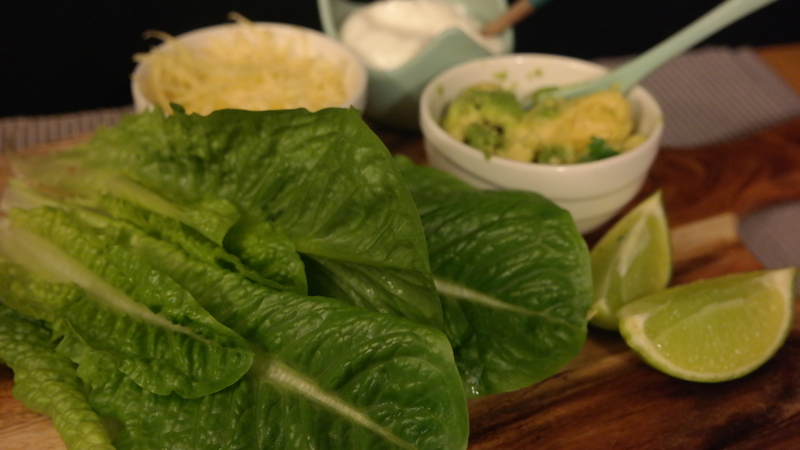 Serve in a big bowl with sides and lime wedges and nourish ! Ps. Don’t be alarmed by the cocoa ( you can make it cocao if you wish ) it creates a richness in the dish. So yes … my last blog post was August last year. It is now June 2015 …. that is nearing the year mark. 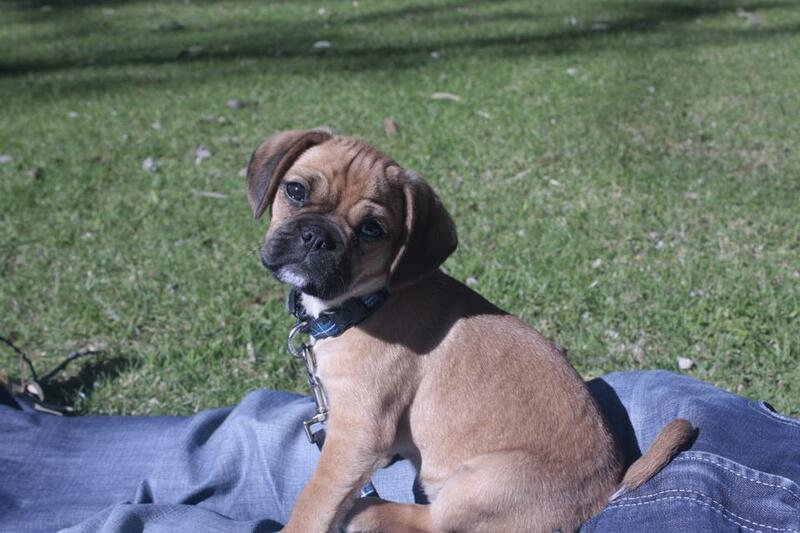 First of all, love of my life number two, Oscar the Pugalier …. has been the most wonderful learning curve. That pup will forever believe he is human and dictate which walking route we take each evening. He just celebrated his first birthday ! The other half ( love of my life number one ) got his first big promotion after a lot of hard work. He loves his knew role and I can see his passion each day when he shares his thoughts with me. I am excited for him and know how good he is in his new role. I cannot wait to see where this takes him. So inspirational. Myself .. ? I got sick .. really sick. Weeks after my last blog my health declined, weight dropped .. and I could barely wait each day until it was time to go back to bed. It was hard to care beyond what I had to do. Then I ended up in hospital with stupid low potassium levels ( that stuff is painful to replace .. think acid in your veins ) and weird spiking/dropping sugar levels that caused pretty scary seizures. Yup .. 2014 didn’t quite deliver the healthy self I aimed for. Then came our Bali and Lombok ‘escape Christmas’ holiday … which I went on despite dubious doctors thoughts .. and goodness did that trip heal me. No longer was I sickly Cheryl. Suddenly we were taking leisurely breakfasts, walking the beaches, taking yoga and mediation classes and sampling the best Indonesian fare .. whilst truly staying in some amazing hotels and boutique resorts. We reconnected with each other .. and ourselves. Here came epiphany number one .. Doctors are not always right. My interest for natural healing and holistic nutrition doubled. On a side note … I will post about some properties I have stayed at in Bali and Lombok over the last year … I urge you to try these properties, they are so different and unique each way I feel that at least one will resonate with your holiday self … if not all, like me ! Bali is so much more than a cheap getaway for Australians. Indonesia is a very special place to visit – I encourage you to embrace all it has to offer ! Sadly my return home saw my health decline again .. and truly it got me terribly depressed .. and grumpy !! That centred being with glowing skin ( It really was .. ) that walked off the plane from Bali disappeared almost completely in a matter of a month. What can you do when you can’t even keep your social plans ? I was back to doing the bare minimum … work, eat, sleep. It felt like the walls were closing in again … Doctor after doctor just sent me to the hospital. Miserable … with a capital ‘M’. It didn’t help that this year I was turning 30 and felt my life was slowly sliding backwards instead of piloting forwards. Where was my high flying career ? Where was my success .. my pulitzer prize, my New York Times review … ?! Ok, I got carried away. Truly though, I once had dreams … and I was back to hoping I could just make it to work for the day .. and through that day for that matter. I didn’t see the point in setting goals or having dreams .. what was the point if you could never reach/achieve them ? I once was a high achiever .. and yet my ‘gumption’ had gone. Then one day early May I woke up .. and epiphany number two hit . Now this could very well be that our new mattress and pillows finally meant a proper nights sleep or.. that my regular physio sessions were magically helping with my joint and neck pain management .. but I think my mind just shifted. I have become comfortable in my own skin – and isn’t that the magic of growing older ? I am not just my illness. I achieve things every day. I have travelled the world .. experienced many wonderful cultures and will do so till my dying days. I am ok with who I am .. because I have grown and continue to seek ways to do so each day. I strive to be good to others and myself. With that in mind I felt like I could begin to Blog again. I want this blog to be what I set out it to be. A place of mindfulness, exploration, growth and love of life … now I feel it can. Sooo here it is .. my new commitment to what is Missy Bluebird. It is not about finding happiness over the rainbow .. its is about enjoying life and marvelling at the beauty, rather than focusing on the battles. I think with this we can all live over that mythical rainbow ! Now … They say things come in threes … so I look forward to epiphany number 3 because its sure to be a cracker ! So I have a new man in my life .. and I am in love … Puppy love after all is endless love. Posing in the sunshine ! Our wee Pugalier pup arrived all the way from his NSW breeders on the 8th August and our lives changed ! From the moment he looked at me calmly from his flight carry case ( Jet-setter already) and came straight for cuddles, my heart skipped a beat. Yup .. I doubt I will ever again sleep past 6am, have good woolen jumpers, or a lounge room scented with anything other that puppy ‘fluffs’ – yet I’ve never been happier. Sam friggin adores him and in my book no amount of puppy poo under the clothes airier, can stop me from thinking he is the perfect pup. Biggest challenge ? Our newest family member is a massive meat lover and so suddenly chicken necks, duck jerky and liver treats are a part of my plant based loving life. Doesn’t bother me one bit ?! Sure I’ve sneaked in a bit of veg and I am not sad he gobbles up sardines like they are a gourmet meal, but seriously I love just feeding my man what makes him feel good. Too his delight I roasted him chicken and sweet potato in coconut oil last week ( to compliment his vet approved diet ) .. poor Sam just shook his head. I’ve never seen him so excited. There is something amazing about nourishing those you love and your pup should be no different ! Of course I knew I’d love him, but I’ve been entirely surprised by the whole experience. He is after all my first puppy experience ! 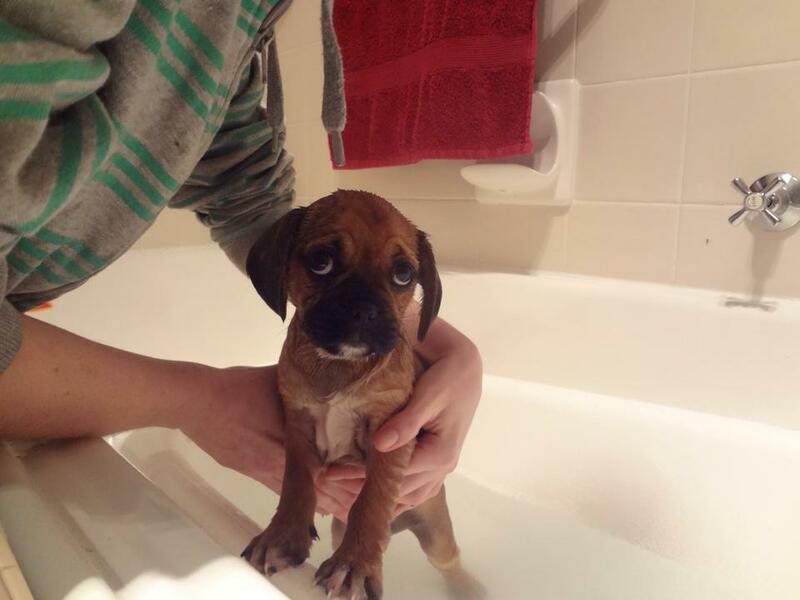 All the things I dreaded (poo, pee, chewing .. bath time ) .. I love .. cause this guy is just adorable. At puppy school he is the smallest and the loudest in the class. Through a tunnel ? No probs .. Walk on my lead ? .. Sure ! First day at the beach ? I can do that ! Again and again he has surprised us with his boisterous, outgoing attitude. He loves cuddles too and of course we aren’t sad about that. S0 what would I recommend in my 2.5 weeks experience … ? ha ha – you learn a lot fast ! Get the best dog bed you can afford,team it with a heatbag and you’ve got a pup that sleeps the night through. We love fuzzyard for doggy stuff full stop – style,quality and an Aussie company ! Enrol in puppy school – its been sooo helpful for us; even if Oscar just goes for the food and socialising. No seriously .. he ran to school yesterday .. the whole way. I swear he could smell the roast chicken awaiting him. Work out what makes your puppy tick ( Oscar is all about roast chicken, sunshine and cubby holes ) and use it to your advantage. Get a Puppy Kong ( without it I don’t think I could leave for work ! ). Bath, massage and groom from day one. Oscar loves his ‘spa’ moments. Second bath yesterday was fun for all ( despite Mummies’ bad neck ! ) .. though ear cleaning may take a little longer. Last, but not least, expose your pup to your lifestyle from day one ! Oscar loves walks, outdoor cafes, the beach and our local national park already .. which means we can take him along with us when doing all our fav things. He loves Sam’s parents and their two pups as we introduced them early in … he is just one loving and adaptable pup ! can you tell we are proud ?! A last note and thank you to the Pretty Fluffy blog too .. seriously good info on loving your pup !